Welcome to Bricatannia - bricatsbands Webseite! Welcome to Bricatannia is the title of Swing-o-Billy trio "The Bricats" latest album on which the three well-dressed and groomed Bricatannian natives invite you to a 40s and 50s music jamboree. Hot Swing, powerful Rockabilly, brilliant self-penned songs and well-selected cover-versions of the Rock'n'Roll era are being presented with harmony vocals, electric guitar, double bass and drum-kit. Eddie Bond meets Wynonie Harris, Caribian grooves meet Jive and Swing and nonsense lyrics meet sweet lovesongs. Their unique style makes them a bright spot in today's Rockabilly landscape and they have played the biggest Rockin' Festivals in England, Holland, Italy, Spain, Germany, Austria, Sweden, Denmark and Switzerland.  The Bricats have made appearances on German TV and radio-stations, have released several recordings and surely have the talent to make the audience swing with at least one part of their body. Get ready for Swing-o-Billy!